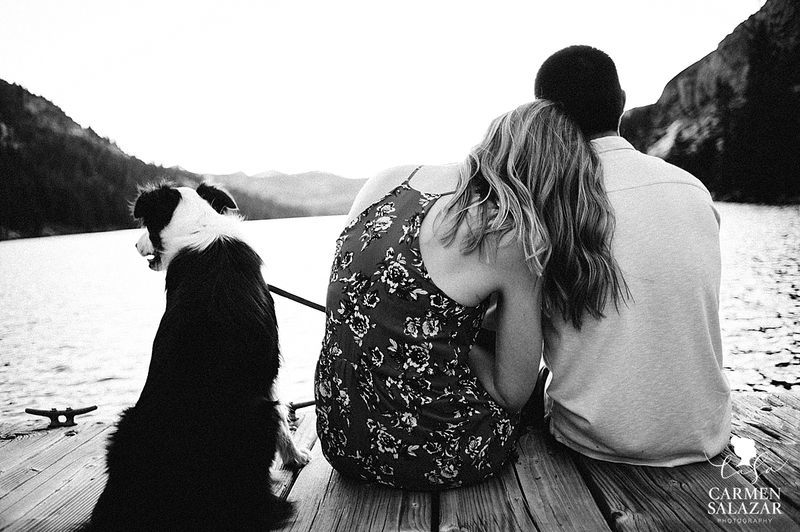 These high school sweethearts (and their pup) are too cute to handle! 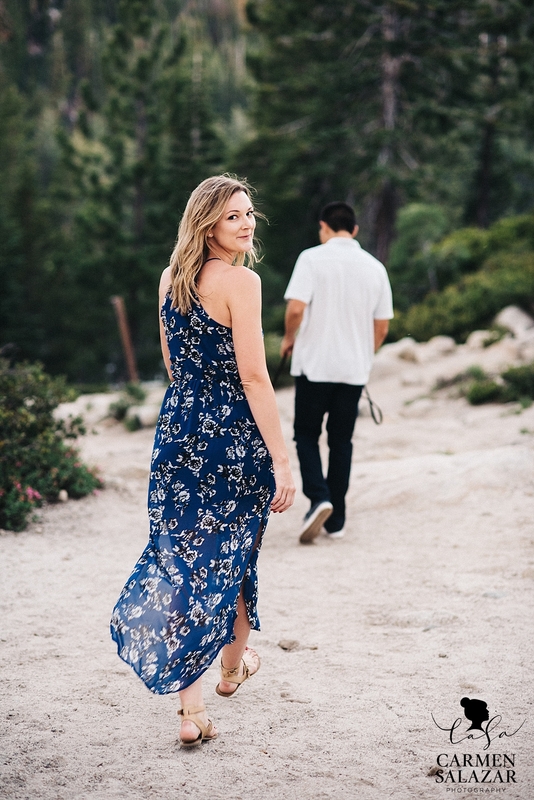 8 years and 1 ring later Courtney and Shawn are getting married in just a few months — so what better way to celebrate their love than a gorgeous Tahoe outdoors adventure. 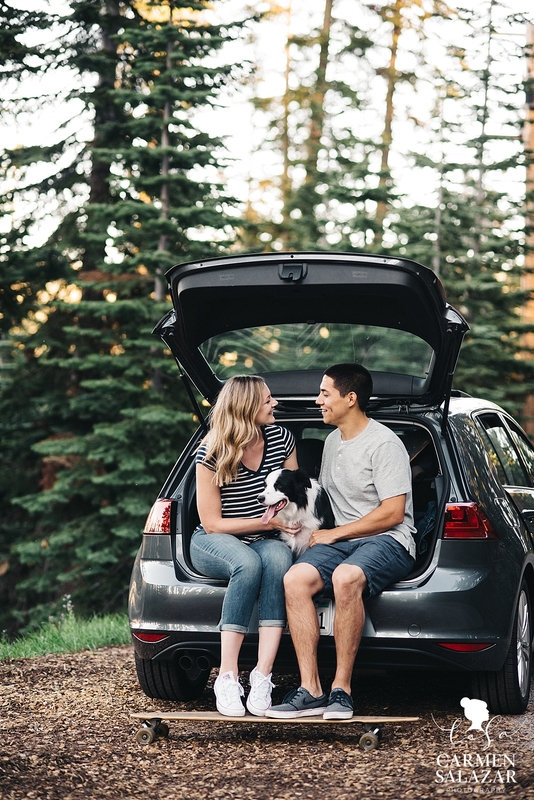 One of their absolute favorite things to do together is hike around Echo Lake with their fur baby Enzo, so we headed out for some dreamy engagement session goodness. These lovebirds were nervous about having their photos taken because it was their first time and both feel like “awkward” people — the camera says otherwise! Courtney and Shawn were naturally adorable (of course) and we had some great laughs exploring the woods. And it didn’t hurt that Enzo stole the show a couple times to put them at ease! The power of the puppy dog game is strong! Enzo is the most camera-ready dog I’ve ever seen — those sweet eyes and wagging tongue killed me! 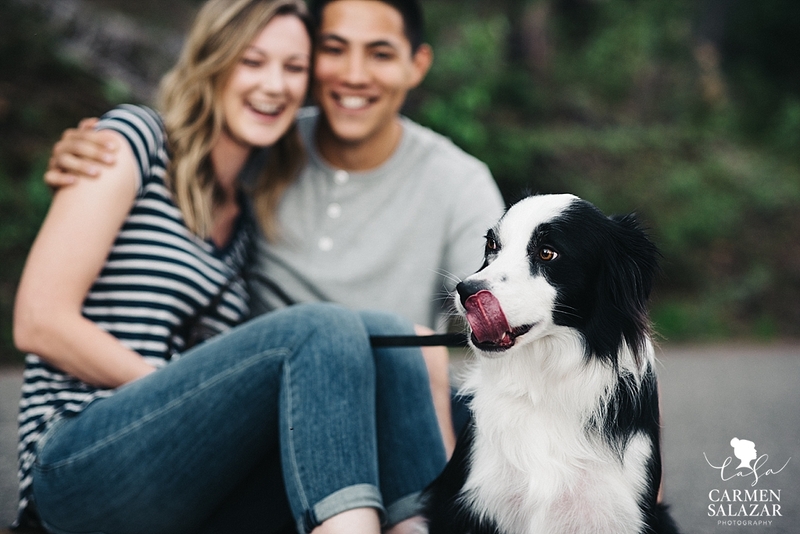 I love when my couples ask to bring their pets into the session because it adds a fun and personal touch to the love story we’re capturing together. Courtney and Shawn hope to have Enzo as a special guest for their wedding in September. I hope he is too! 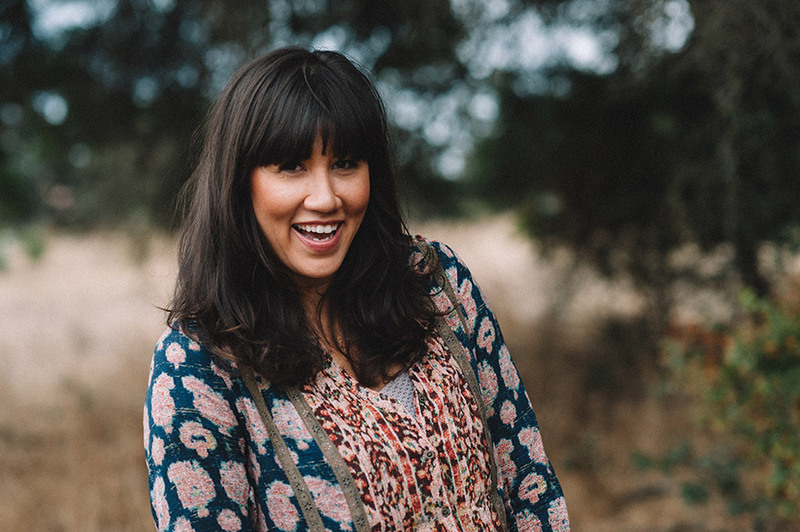 Wind swept and carefree…I love Courtney’s relaxed style. These darlings love little lake dates! 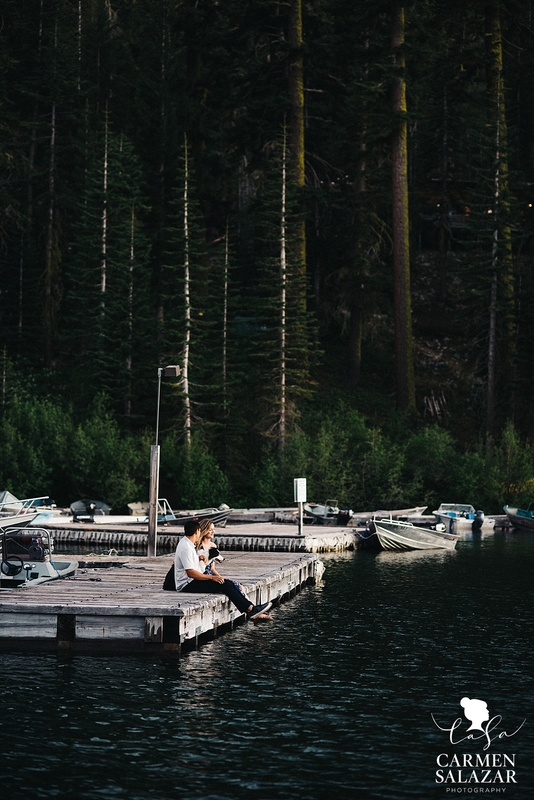 On days off they frequent Folsom Lake and Lake Tahoe, but Echo Lake is very special for them. 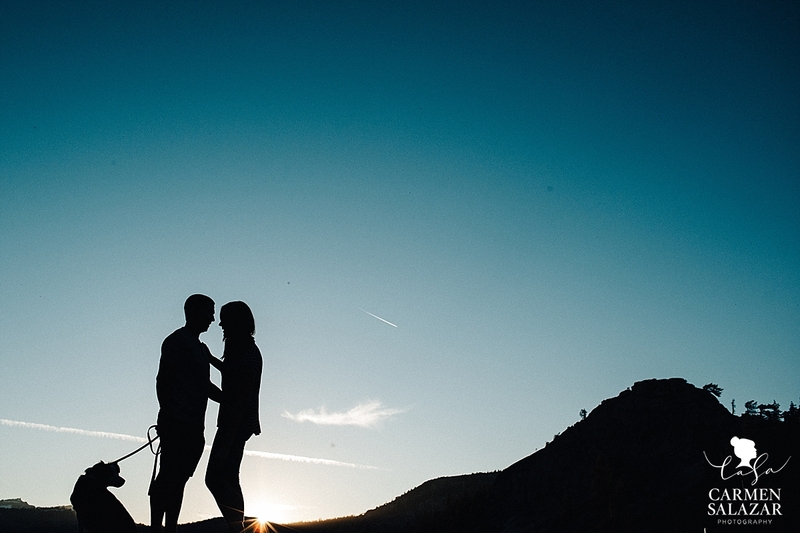 Courtney and Shawn put that Tahoe sunset to shame! I can’t wait to photograph their “I Do’s” this fall at Scribner Bend, hopefully with Enzo’s wedding debut! Thank you both for allowing me to capture your love story!